What is it that speaks to us across the ages when we are confronted with a great work of art? 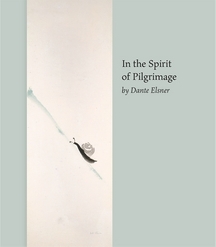 In this book, artist Dante Elsner reveals a lifelong exploration of the spiritual nature of art. His search for meaning in life following his experience in the Holocaust led to a moment in the Louvre Museum in Paris where he encountered a painting that changed the course of his life. Based on a series of conversations with his son Jaś Elsner, an art historian, In the Spirit of Pilgrimage represents a distillation of one man’s understanding of the spiritual practice of art. Dante Elsner was a painter, a potter and a sculptor who thought deeply about the theory and practice of art. He came to believe that art was of great importance to the spiritual life of man.